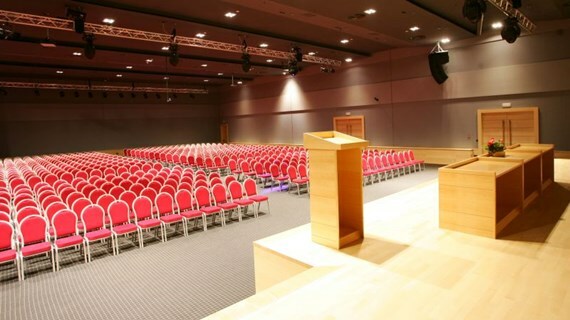 The conference centre of the BlueSun Elaphusa Hotel offers five conference halls and rooms with a total capacity of 1,100 seats, while the capacity of the largest modular conference room – Brač is 800 seats (theater setup, see Fig. 1). The lectures, practical activities and poster sessions at the HTCC3 will be held in the Brač1 modular conference hall (300 m2, 120 seats in classroom style, Fig. 2). All conference halls and meeting rooms are equipped with the state-of-the-art audiovisual equipment and managed by the expert staff, which enables the maintenance and organization of conferences, business meetings, social events and other events at the highest level. Croatian Association of Crystallographers organized in this conference centre the 3rd European Crystallography School, back in 2016, and based on the positive experience that we have acquired back then, the decision was made to organize the HTCC3 in Bol.